Sam Fout » Inside the Insider! Holy cats! 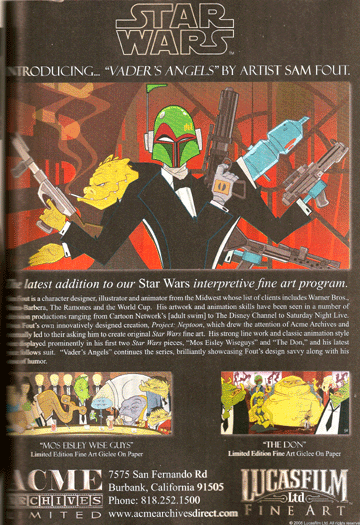 check out this full page from the 100th issue of the Star Wars Insider official fan club magazine! It announces the release of my new SW piece “Vader’s Angels”; but it also showcases the previous 2 pieces and has a really nice write-up on yours truly. 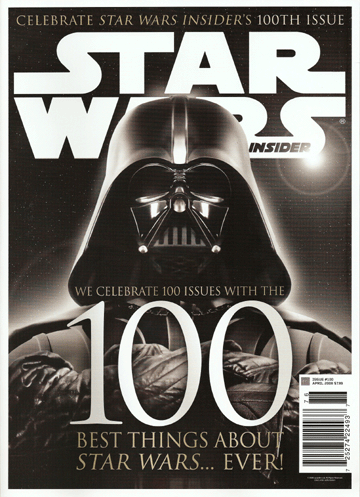 Being the huge Star Wars nerd that I am, to have pix in the Insider for the 100th issue is really an honor. Once again, my deepest thanks to Chris Jackson and all of the amazing people at Acme Archives (to whom I probably owe a kidney by now…). 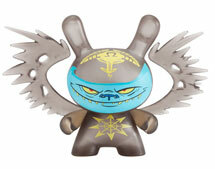 “Vader’s Angels” is now available directly from Acme Archives with free shipping.